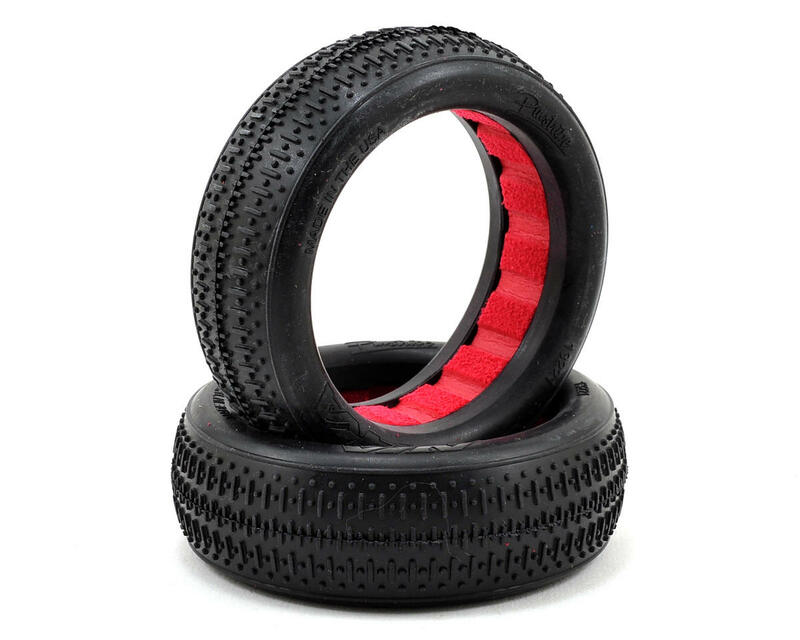 This is a pack of two AKA Racing "EVO" Pin Stripe Front 2WD Buggy Tires. The 1:10 EVO Pinstripe is an excellent front tire for both indoor clay and hard packed outdoor tracks. The tire features a bar pattern that smooths out the steering and is a less aggressive alternate to the Typo front tire. NOTE: These tires are only compatible with AKA EVO 2wd front wheels. 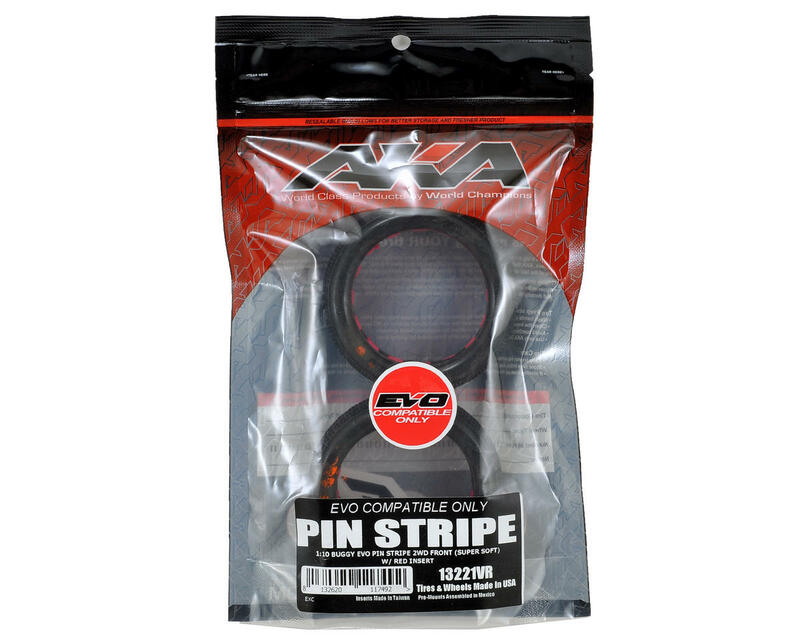 EVO Bead: The EVO bead design uses an 1/8 scale style L-shaped bead mount. This allows the user to glue the tire to the wheel more effectively, creating a much stronger glue bond.